A.G.E.A. 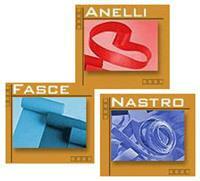 SNC, Rubber products, Rubber - medical articles, Threads, special, on EUROPAGES. Since 1950, the company Agea Gomma has specialised in the manufacture of elastics for the clothing, fitness and technologies sectors. Sitated at the company's registered office, which has grown to reach its current 8, 500m² , the laboratory continuously works on updating mixtures and testing raw materials, products and manufacturing techniques for elastic tapes, elastics for fitness exercises, rings for stationery and elastics for agricultural use.